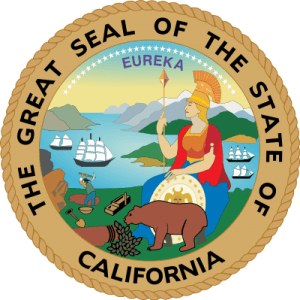 On January 1, 2013, the California Homeowner Bill of Rights became law to ensure fair lending practices and to protect California Homeowner Bill of Rights Becomes Lawhomeowners from unfair borrowing practices. This law has been praised by consumer advocates, but criticized by the lending industry. Its protections are necessary in light of recent national economic events that have often put homeowners at the mercy of their home mortgage lending servicer without much recourse. The law insures accountability on behalf of lenders and closes some loopholes in other areas regarding the buying, selling and renting of real estate as well. Prior to January 1, 2013, a homeowner could still face foreclosure by the lender holding the mortgage deed even during loan modification negotiations. Many times a homeowner would receive a loan mod, only to then also receive a Notice of Default against his property. This restriction on dual tracking insures that the foreclosure will be postponed while the loan modification is under review. The California Homeowner Bill of Rights guarantees that, in the event of a loan modification proceeding, the homeowner will have only one point of contact. This relieves frustration on the part of the homeowner who, in the past, may have ended up with a different point of contact every time he called his lender regarding his loan modification. This provision will be insured that one person or a team at the bank will know the facts of their case, has their paperwork, and can get them a decision about their application for a loan modification. Also known as “robo-signing,” the California Homeowner Bill of Rights provides a civil penalty of up to $7,500 per loan for any violation wherein a lender files and records unverified loan documents. Borrowers can now seek “redress of ‘material’ violations” of the foreclosure process; meaning they can now sue their loan servicer for any violations they may have made during the foreclosure process. Buyers of foreclosed properties are now required by the California Homeowner Bill of Rights to give tenants living in the property at least 90 days before beginning eviction proceedings. If the tenant was under a fixed-term lease at the time of the foreclosure, the new buyer must honor the terms of that lease. Prior to January 1, 2013, the statute of limitations to prosecute mortgage fraud and mortgage-related crimes was one year. The California Homeowner Bill of Rights extends that statute to three years, and provides the Attorney General’s office the ability to use a statewide grand jury in the prosecution of anyone accused of financial crimes in multiple California counties. The California Homeowner Bill of Rights provides additional recourse against blight caused by vacant homes in a neighborhood. This includes providing homeowners more time to remedy code violations, and also provides penalties for homeowners of foreclosed properties to pay for maintenance and upkeep.